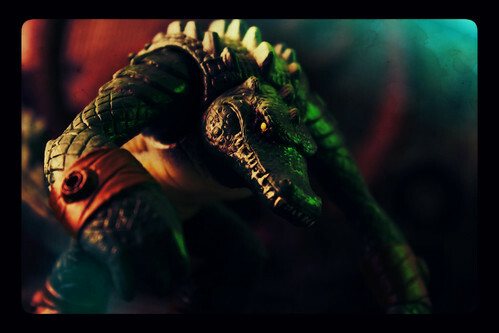 I really wish Leatherhead were bigger, and had more articulation. Nevertheless, he is a fun figure. It is totally a coincidence that the exact same photo came up today on Nerditis. I selected it last night!